It should come as no surprise to anyone familiar with the work of Naoko Yamada that flowers and flower language have their place in her latest film: Liz and the Blue Bird. 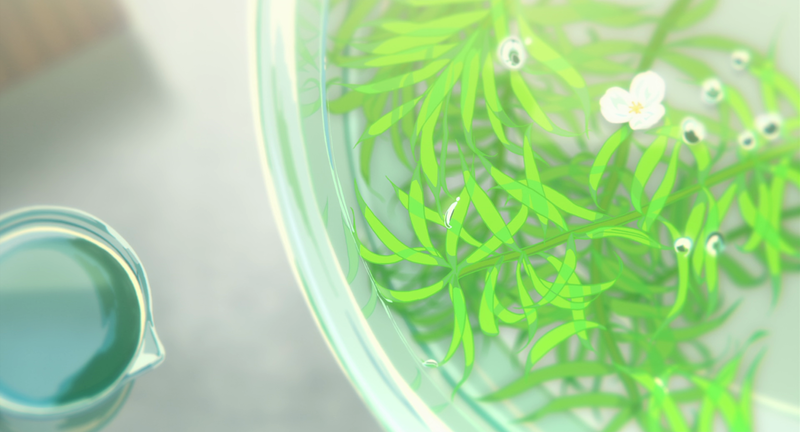 For Yamada, flowers take the place of things left unsaid when people are unable to express their feelings for each other due to a physical disability (A Silent Voice), mental illnesses or internal fear (also A Silent Voice), societal expectations (her episode of Violet Evergarden), or myriad other reasons. When important context goes unsaid, Yamada frequently turns to flower language to do the emotional heavy lifting. Her usage of flowers in Liz and the Blue Bird has a defter touch than A Silent Voice and Violet Evergarden‘s camellia princess. Many things go unsaid or unspoken between leads Mizore Yoroizuka and Nozomi Kasaki and Yamada wisely uses what unites them — music — to express most of them. Flowers create a secondary, background context, featured more prominently in the Liz and the Blue Bird storybook — used as another framing device for Mizore and Nozomi’s relationship — with a few flashes to real-life flowers at key moments between the two. Mild manga spoilers ahead for The Promised Neverland. Naturally a series titled Bloom Into You — although the literal translation of Yagate Kimi ni Naru would be “eventually I become you” — is going to be rife with flower language. I would have been disappointed had it not. Here’s a bit about what the flowers in the opening sequence could be saying about series leads Yuu Koito and Touko Nanami as well as their supporting cast. 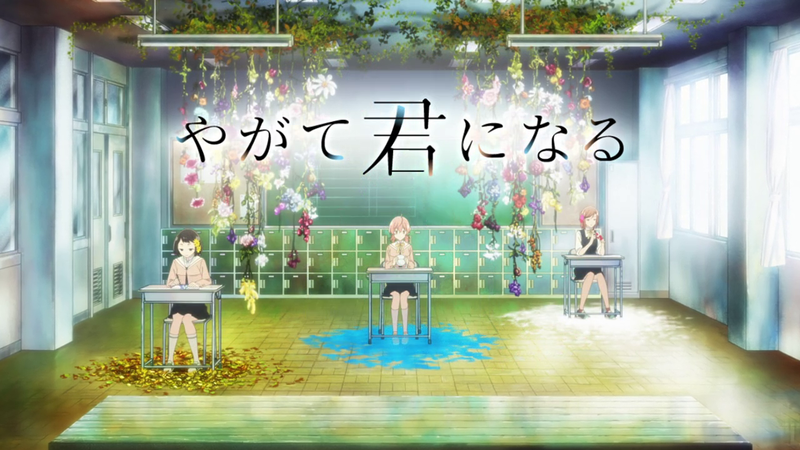 What’s most noticeable from the first few scenes is that Touko and Yuu aren’t paired with each other, but instead featured alongside their close friends, with shed flower petals underneath their desks. 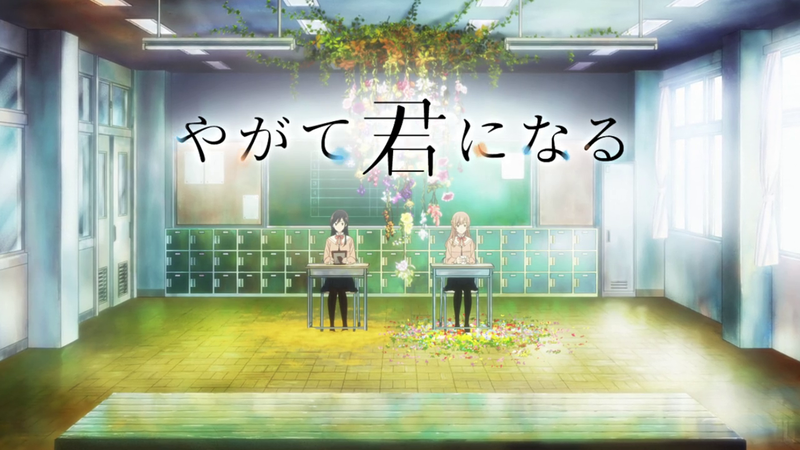 In Touko’s case, pictured in the shot above, it’s Sayaka Saeki who is given the flower treatment. Yuu is pictured between her junior high school friends Koyomi Kanou and Akari Hyuuga. Their individual flowers featured in the opening give us insight into their personalities, especially Sayaka, whose motivations haven’t been made as clear as those of Akari and Koyomi. In previous posts, I’ve written about flower language in Darling in the Franxx, including floral reproduction, basic genetics, and the names of the plantations themselves. The series’ use of floriography has been a straightforward roadmap — Darling in the Franxx eschews subtleties for directness both visually and in its use of symbolism or literature. There are a few flowers that have gone unmentioned that are far more relevant now — the hibiscus flower and the cactus — in addition to revisiting Kokoro’s Franxx robot: Genista. 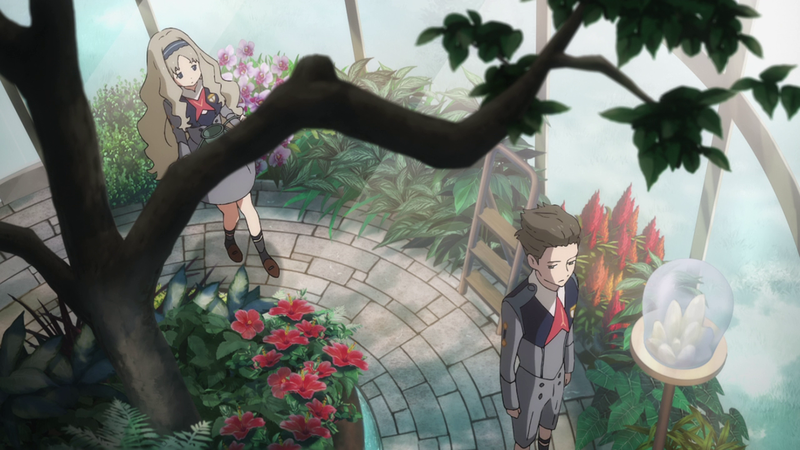 Hibiscus and various cacti appear multiple times in the Mistilteinn garden alongside the Franxx robots’ various namesakes. 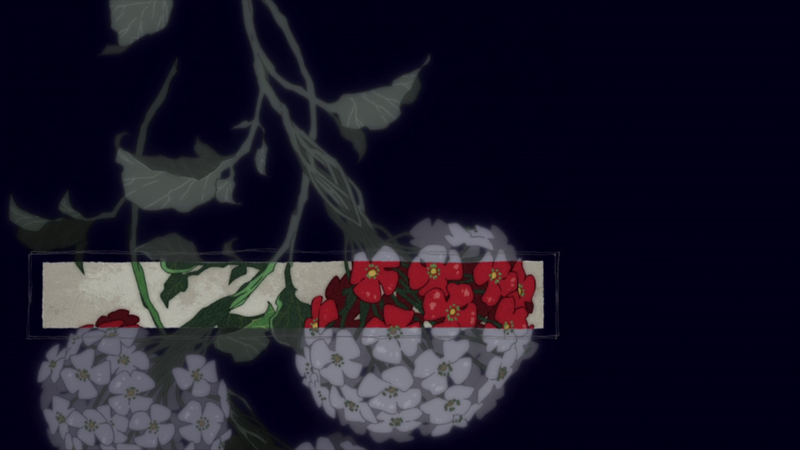 These flowers make up the backdrop of Kokoro’s conversations with Mitsuru, which later leads to their partner reassignments and, in the most recent episode, a sexual partnership.